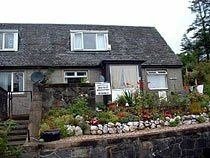 Bed and Breakfast Accommodation in Tarbet by Loch Lomond . You will receive a warm welcome from your host, Mrs. M. Kelly. We have both Double and Twin rooms available. Children and pets welcome.